I agree with you!! !They're fovulous! :) I'll put them with a white top and a black biker jacket! Congrats on your aunt! Yay! And I love the pants, I probably wouldn't wear them since I probably couldn't pull 'em off, but they're great. This is an awesome pair of pants and I can't wait to see the rest of the outfit. Congratulations to your Aunt I hope for a safe delivery of her baby! new follower and congrats for the baby! Beautifuuuuul pant !!! love that print ! And congrats for your aunt ! I love the pants. So chic. my daughters always told me to save my clothes..that the styles come back...looking at these pants, they were right!!! Adoro ese estampado de pantalones y su color...PRECIOSOS! Hello happy fantastic pants and print color. The pants are beautiful indeed! With the right pieces is wonderful! Que pasada de pantalones! Me han encantando, y ademas tienen pinta de ser comodisimos y fresquitos para el verano! Creo que por eso Zara creo lo de people, porque muchas veces vemos cosas en las tiendas y ni se nos ocurre comprarlas, pero bien llevadas y con estilo la cosa cambia y te lo replanteas!! yo no me los pondría pero los encuentro geniales! 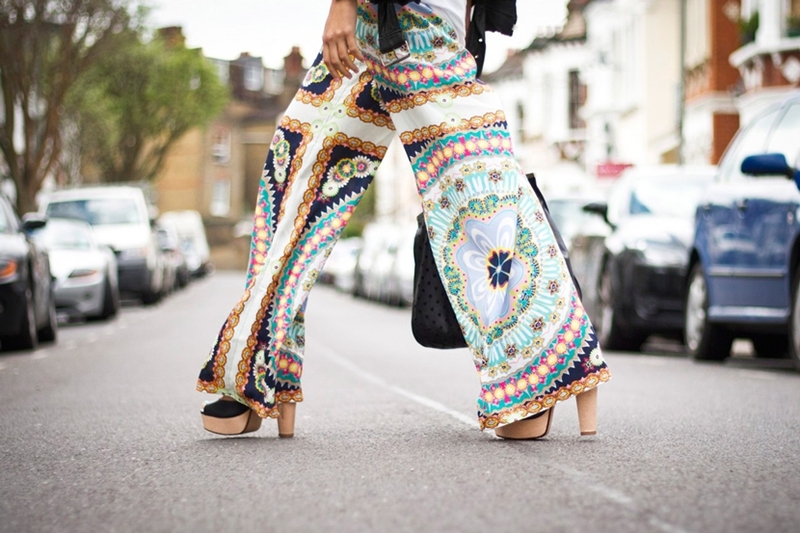 Love this pants, go for them!